A beautiful bouquet of blue columbines blooms along the rocky slopes of Mount Lady Washington high above the Tahosa Valley. 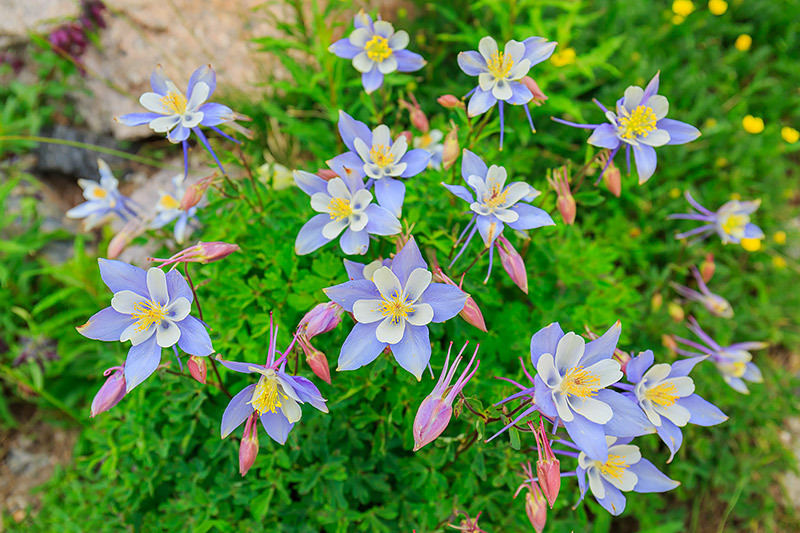 Columbines are the official state flower and Colorado which is a testement to their beauty as both Colorado and Rocky Mountain National Park are blessed to host some of the most beautiful wildflower displays found in the United States. While not as prominently known as Longs Peak the mountain to which resides just to the south of Mount Lady Washington, the rocky slopes of Mount Lady Washington are a perfect environment to find columbines blooming through late July and August. Photo © copyright by Thomas Mangan.